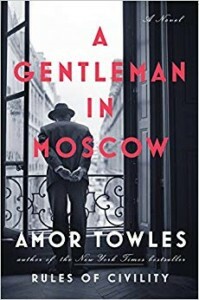 New members are welcome to join any book group. No registration is required. For assistance, or to get a copy of a book, please visit the Customer Service Desk or call (812) 949-3523. 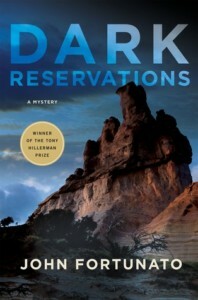 In John Fortunato’s Dark Reservations, Bureau of Indian Affairs Special Agent Joe Evers still mourns the death of his wife and, after a bungled investigation, faces a forced early retirement. What he needs is a new career, not another case. But when Congressman Arlen Edgerton’s bullet-riddled Lincoln turns up on the Navajo reservation—twenty years after he had disappeared during a corruption probe—Joe must resurrect his failing career to solve the mysterious cold case. Partnering with Navajo Tribal Officer Randall Bluehorse, his investigation antagonizes potential suspects, including a wealthy art collector, a former president of the Navajo Nation, a powerful U.S. senator, and Edgerton’s widow, who is now the front-runner in the New Mexico governor’s race. An unexpected romance further complicates both the investigation and Joe’s troubled relationship with his daughter, forcing him to confront his emotional demons while on the trail of a ruthless killer. Joe uncovers a murderous conspiracy that leads him from ancient Anasazi burial grounds on the Navajo Nation to backroom deals in Washington, D.C. Along the way, he delves into the dangerous world of black market trade in Native American artifacts. Can he unravel the mystery and bring the true criminal to justice, or will he become another silenced victim? Computers shut down 10 minutes before closing.